On July 6th, Cardiff University hosted the Welsh Baccalaureate Conference. This event was developed through a partnership between the Welsh Government, the WJEC and Cardiff University research staff. The aim of the conference was to engage secondary and further education teachers with some of the ins-and-outs of conducting research, with a particular focus given to enabling them to better assist their students in successfully completing the Individual Project Challenge in the new Welsh Baccalaureate design. 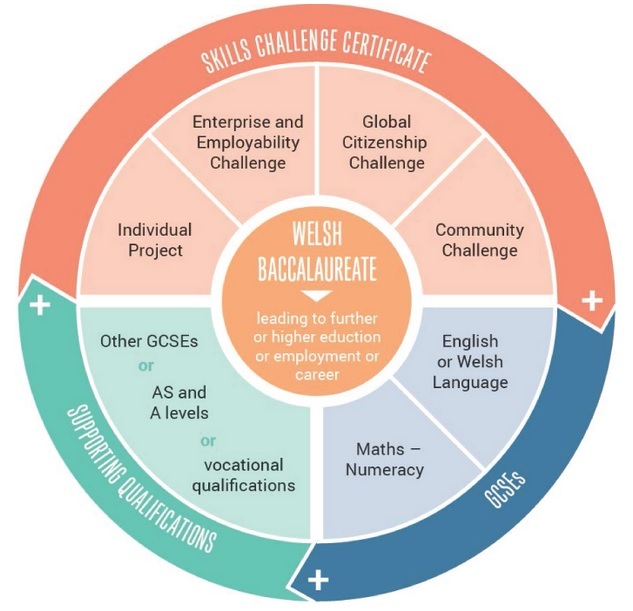 The Individual Project Challenge is a new component of the Welsh Baccalaureate qualification. Previously, students were required to conduct individual research within a narrowly defined set of criteria. However, this new approach grants students and teachers greater opportunities to learn across a number of topics utilising various approaches to conducting research. Unfortunately, with new approaches to inquiry and knowledge production, come new challenges in teaching, conducting and assessing student research. The recent publication of the ‘Furlong Report’ highlighted deficiencies in initial teacher education in Wales, with many of those deficiencies involving teachers not receiving adequate training and exposure to research methods and evidence. These concerns are echoed by many teachers currently teaching in schools in Wales. For example, prior to the conference, attendees provided the organisers with a list of concerns for engaging with the new Welsh Baccalaureate curriculum. They were asking for new insights into teaching critical thinking and problem solving skills, as well as research methods, strategies for organising and planning research, and analytical approaches and access to data. The teachers’ concerns regarding their ability to confidently deliver the Welsh Baccalaureate curriculum highlight the importance of teachers’ engagement with research, data and methods. Through the WISERD Education study, we have collected data regarding how teachers perceive research and educational research in particular. We are curious as to how teachers’ perceptions of research might influence their use of research as a means to improve their pedagogical practice. In 2014, we asked over 213 teachers in schools across Wales how useful they felt research and research-related activities were in improving their practice. The results in the following table show teachers find reflecting on their own practice as the most useful research-related activity for improving their practice. According to our results, one in every five teachers indicated they had no experience in undertaking their own enquiry or research, and nearly the same number had no experience of using other people’s research. In regard to usefulness, two-thirds of the teachers in our study found doing their own research, or using existing research evidence, useful in improving their teaching. It is not surprising many of the teachers attending the Welsh Baccalaureate conference were concerned with how to teach their students about research. Our results suggest a possible disconnect between teachers’ training and everyday practice, and the role of research as a pedagogical tool in schools in Wales. We also asked teachers if they knew where to find relevant research and if they were able to use and understand the evidence they had found. Nearly 75% of our respondents said they knew where to find research, but only just over two-thirds (67.5%) indicated they were able to understand it. We also asked teachers how frequently they conducted ‘action research’ at their schools. Of the 198 responses, 14.6% said they do some form of action research frequently. The majority of teachers (63.6%) said they had not undertaken action research in the last 12 months. We also asked teachers if their school encouraged them to conduct research and if they had opportunities to discuss research evidence with their colleagues. Overall, we found the majority of teachers in our study are not engaging in research that could improve their pedagogical practice, but we still don’t know why. Less than half of the teachers we surveyed said their school encourages them to use research evidence, and over one-third of our respondents indicated they did not have time to use research evidence in their teaching. So, the context and circumstances of teaching are an important area of concern. Equally important, the ways in which schools are monitored and assessed needs to be examined. If there is a focus on overall pupil attainment and qualifications at a school, rather than the micro-level quality of teaching (and teacher preparation), then schooling may be organised more around a particular outcome — the “ends” and not necessarily “the means” through which these ends are attained. This kind of instrumentalisation could over-emphasise particular elements of schooling that are sympathetic to discourses of inspection and evaluation, while occluding areas of teaching and learning that don’t align to these discursive organisers, but still contribute to the holistic health and overall efficacy of educational activity at a school. As mentioned above, the Furlong Report indicated that more work was needed in preparing classroom teachers to engage in understanding and conducting educational research. As the redesign of the Welsh Baccalaureate qualification requires students to engage more rigorously with critical thinking skills and approaches to research, it is unsurprising (yet encouraging) that teachers are asking for better preparation and more resources to enable them to help their students succeed in their Individual Project Challenges. As the Individual Project Challenges of the Welsh Baccalaureate invite opportunities for students to explore new pathways to building and sharing knowledge, we should support and encourage more opportunities for teachers to do the same.